Captain's Solid Brass Binoculars with Leather Case 6"
Scouts Solid Brass Binoculars 4"
Floor Standing Admirals Antique Copper Binoculars 62"
Commanders Chrome Binoculars with White Leather and White Leather Case 6"
Commanders Chrome Binoculars with Leather Belt and Leather Case 6"
Commanders Solid Brass Binoculars with Leather Belt and Leather Case 6"
Commanders Antique Copper Binoculars with Leather Case 6"
Commanders Antique Brass Binoculars with Leather Case 6"
Commanders Chrome Binoculars with Leather Case 6"
Commanders Brass Binoculars with Leather Case 6"
Captains Brass and Wood Binoculars with Leather Case 6"
Admirals Chrome Binoculars with Leather Case 6"
Admirals Brass Binoculars with Leather Case 6"
Scouts Antique Brass Binoculars 4"
These beautiful Hampton Nautical Captain's Solid Brass Binoculars with Leather Case 6" will make anyone feel like a true navigator. 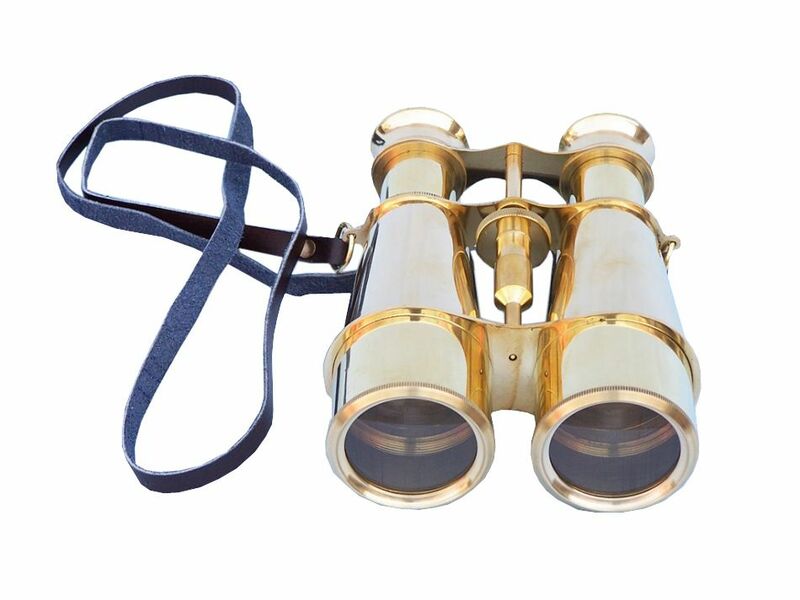 With classic styled eye pieces, these binoculars have in-line prisms for improved field of view and have precision ground glass 1.75 inch (44 mm) diameter objective lenses. Focusing is accomplished using a knurled focusing knob on top of the binoculars. The binoculars have a leather strap and come with a handmade leather case. Custom engraving/photo etching available; logos, pictures, and slogans can easily be put on any item. Typical custom order minimum for engraving is 100+ pieces. Minimum lead time to produce and engrave is 4+ weeks. As an essential tool aboard any ship, give these traditional spyglasses to your nautical sea scout and help them find their way across the high seas. 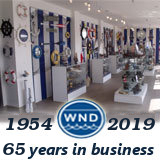 Developed at the same time as the spyglass telescope, binoculars have earned their place in the history of sailing. 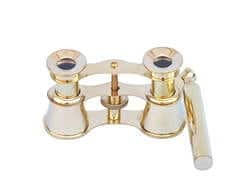 Perfect for the young nautical enthusiast making their first voyage, or for the experienced young sailor as they explore the seas in the navy or on their own, these spyglasses are crafted from traditional and durable telescope brass ensuring that they will show the way for years to come. Your young sailor will treasure these spyglasses, and as a gift they speak volumes about life at sea.